Cotton is doing just fine. She continues to love the children best of all. I take 3 grandaughters to school every day and Cotton always comes along. 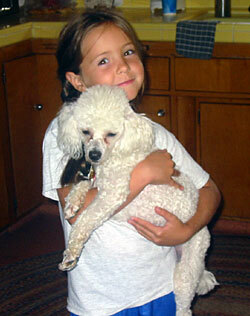 Here is a picture of Cotton with Sarah, age 5.